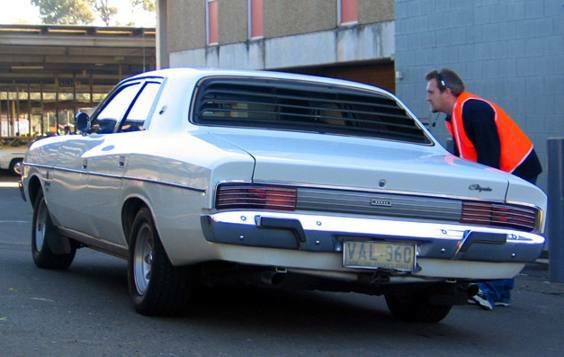 In October 1975 the VK Valiant was released and to the untrained eye - it was almost a carbon copy of the previous VJ model. However even though the grille was the same as the VJ, the base model Ranger now had an argent version of the VJ Charger grill, the VK XL Charger had a white version, and the 770 charger has also had the argent version. 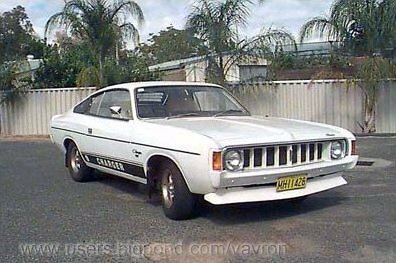 Interestingly, the VK Chargers were not called Chrysler Valiant Chargers any longer, the 'Valiant' was dropped to just leave Chrysler Charger. Ranger, Regal and Charger all now shared the same tailight treament. Again similar to the VJ tailights but without the chrome, they are dubbed the 'Mercedes copy' (as was the style of the time) and had contours to keep air flow away and keep lenses clean. The VK Regal also had blinker repeaters housed in a small chrome boxes which sat on top of both front guards. Another unusual option was the Fuel Pacer option (from the Mitsubishi Sigma SE) which was basically a device which detected low vacuum (as under acceleration) and sent a signal (which would make the driver side blinker repeater light come on), basically to tell you the engine was wasting petrol. 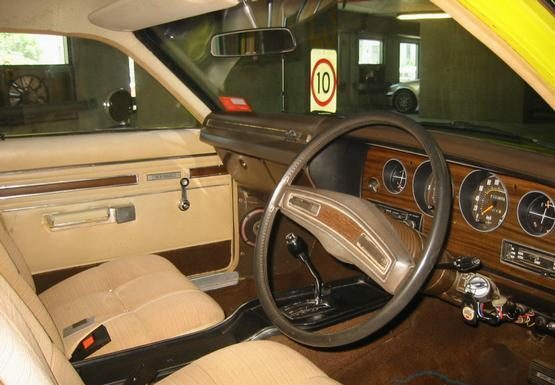 Interior wise saw the introduction of inertial reel seatbelts, slightly different heater controls, and the VK Valiant also saw the introduction of a combination lights/wiper stalk from the Mitsubishi Galant. The Ranger also welcomed full length door trims, and carpet was now standard, the only vinyl was in the boot. VK 6 cylinder series engines were the same as VJ's, and all 245ci Hemis now had a 2BBL carburettor, the same as the 265 Hemis. The V8s were mainly 318ci, but the 360ci V8 remained an option across the entire range, although not very popular as the mid 70's saw the trend towards smaller cars with smaller motors. manual floor change you could now option the 4 speed, which was available on all models but could only only be had with a Hemi 6 cylinder motor. Late in the VK model run saw the release of a limited edition Charger called the White Knight Special (option A50) which sported a factory fitted front air dam. The changes were mainly cosmetic with running gear being largely stock. There were 200 White Knight Specials made - 100 in Arctic White and 100 in Amarante Red. 120 were auto and 80 were 4 speeds. 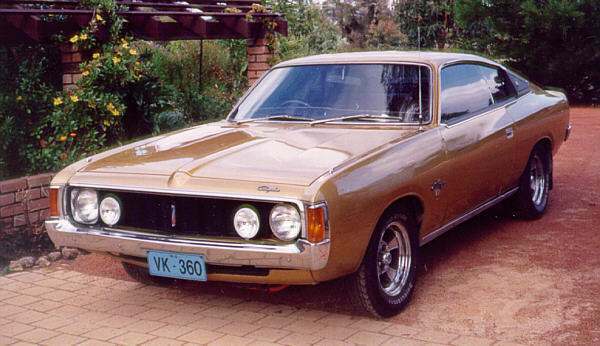 A total of 20,555 VK Valiants were produced and production ceased in June 1976. This was because ADR 27A for emmision/pollution control became effective on 1/7/1976, and all the car manufacturers used that date as the introduction of a new model to specifically cater to the new standard.